Julianna eye mask is hand painted and glittered. 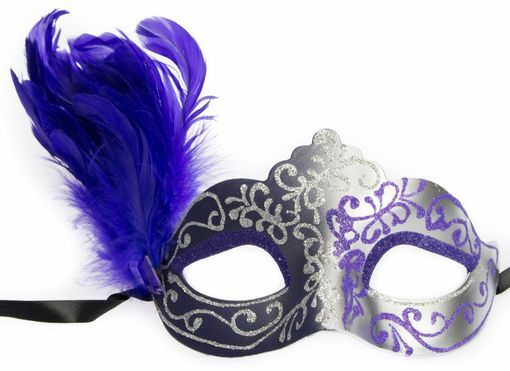 This mask has lots of glitter detail and two tone feathers. Color purple and silver.